Most often, stories of soldiers incarcerated in prisoner-of-war camps—on both sides— during the American Civil War are grim at best, and unimaginably horrific at worst. So a recent local news story about a statue dedicated to the memory of the commandant of one of these camps caught my attention. Even more remarkable than the fact that such a statue exists is that it was the man’s prisoners who requested that the statue—bust, to be accurate—be made in the first place. Colonel Richard Owen held the position of commanding officer at Fort Morton in Indianapolis, Indiana, from February to May of 1862. During those three short months he so endeared himself to the Confederate soldiers he oversaw that fifty years later, those men petitioned the state of Indiana for permission to honor their former enemy with a bronze memorial. Born in Scotland to a prominent milling family, Owen immigrated with his family to New Harmony, Indiana, at the age of seventeen. His military career began in 1847 during the Mexican War. On his return to Indiana after the war, he joined his brother David in surveying the Northwest Territory, work that earned Richard a chairmanship of Natural Science in the U.S. Military Academy. In 1860, soon after he was appointed Indiana State Geologist, he was asked by Governor Morton to serve as Lieutenant Colonel of the 15th Indiana Volunteers. A year later, following the outbreak of the Civil War, he was promoted to Colonel of the 60th Indiana Volunteers. 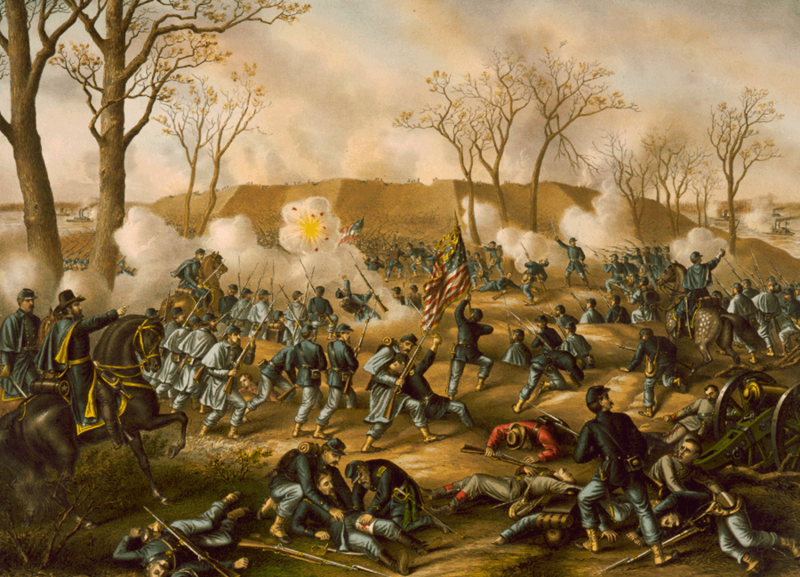 In February of 1862, Confederate Fort Donelson in Tennessee fell to Union forces, generating 3,700 Confederate prisoners-of-war. 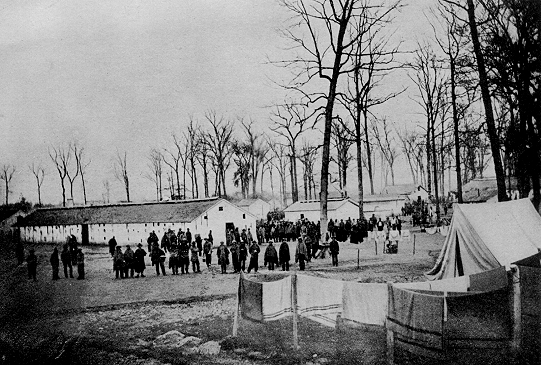 Up to this point, no rules concerning the treatment of prisoners in such camps existed so Owen took it upon himself to draw up a list of rules, under which, Camp Morton would operate. The list included what would constitute a crime and how those crimes would be punished, general humane living conditions even including a provision for the creation of a prisoners’ fund. Under Owen’s rules, prisoners were given freedoms unheard of in other prisoner-of-war camps including the ability to purchase and read magazines and books and assemble in groups. Owen’s leniency drew criticism from many quarters, compelling the Colonel to defend his system in a lengthy letter to the Indianapolis Journal, which was published in April of 1862. Soon after, Owen received word that his regiment would be returning to active duty and leaving Fort Morton for Louisville, Kentucky. 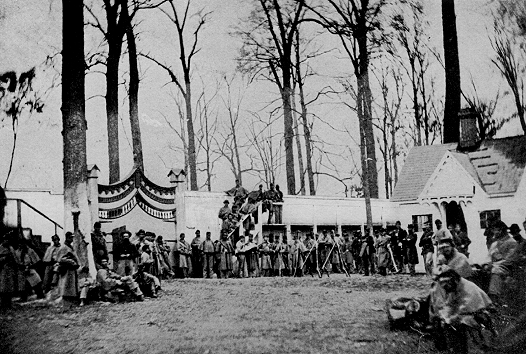 Alarmed and dismayed at the news that their kind commandant would be leaving, a group of Camp Morton’s prisoners petitioned Governor Morton to allow Colonel Owen to remain at the camp, but to no avail. A few months later, Colonel Owen and his regiment were, themselves, captured by Confederate General Braxton Bragg’s army. Fortunately, word of Colonel Owen’s kindnesses to the prisoners at Camp Morton preceded him and, in turn, he and his men were treated well by their captors, the Colonel even being allowed to keep his sidearms. In 1911, Archibald Cunningham, editor of Confederate Veteran Magazine and former Camp Morton prisoner-of-war, requested and received permission to honor Colonel Richard Owen’s service with a bronze tablet. He solicited contributions from fellow ex-inmates of Camp Morton and the response was so great—more than $1,100.00—that there were sufficient funds to commission not a mere tablet, but a bronze bust of the revered commandant. In 1913 the sculpture, titled “A Bond Between North and South,” was dedicated and placed in a niche outside the rotunda of the Indiana State House. The dedication was attended by veterans of both the North and the South. In 1933, two replicas of the bust were made—one placed in the Indiana Memorial Union on the Indiana University campus in Bloomington, Indiana, and the other in the Purdue Memorial Union at the Purdue campus in West Lafayette, Indiana. Each university has an Owen Hall named for the Colonel. 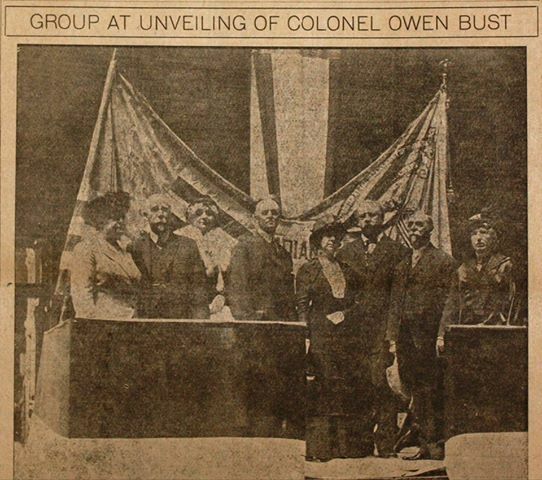 This past June 10th, the 100th anniversary of the original dedication of the Owen bust, a rededication ceremony was held in the Indiana State House replete with Civil War re-enactors. This was the news story that caught my attention and caused me to research the remarkable story of Colonel Richard Owen. The Civil War annals are rife with accounts of atrocities perpetrated by Americans on Americans during that bitter struggle. So on this weekend filled with patriotic celebrations of our country’s birthday, I find it a point of pride that the actions of a fellow Hoosier are among the rare examples of compassion and respect shown by one American enemy to another in that bloody conflict that pitted brother against brother. Ramona K. Cecil is an award winning author of Christian historical fiction. A native Hoosier, most of her stories are set in her home state of Indiana. 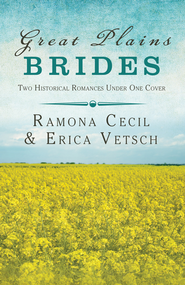 Leave a comment about this blog for a chance to win a copy of Great Plains Brides, a volume containing two historical romances; A Bride's Sweet Surprise in Sauers, Indiana by Ramona K. Cecil and A Bride's Portrait of Dodge City, Kansas by Erica Vetsch. What a great story, Ramona. It's so good to hear about a man who had the courage to show true Christian character in such a divided time in our country. Thanks, Louise. I thought "What a remarkable story," when I first heard about it in the news. How interesting. It's amazing that such a camp existed during the CW. So many of the camps were death camps in both the north and the south. Thanks for sharing! Hi, Debbie Lynne. I agree. I just had to blog about this story. This was an interesting story that I have not heard before. Thank you for sharing and for the giveaway. Hi, Angela. I hadn't heard about it until recently myself. Thanks for stopping by, and good luck in the drawing! Hi, Bethany! Tell your hubby a fellow Hoosier says "Hi!" :) I live in the southern part of the state, almost exactly 60 miles south of Indianapolis and 60 miles north of Louisville, Kentucky. This part of the state is sometimes called Kentuckiana. I love Indiana and Indiana history, so most of my stories are set here. Choosing the high road can be difficult, and especially during times of war, but Colonel Richard Owen proves that it can be done. Thanks Ramona. I enjoyed this! Wonderful post, Ramona. I never knew this history. Thanks for sharing. Thanks, Kathleen. This story was news to me, too, and I've lived in Indiana all my life. Glad you enjoyed it. Great blog, Ramona! The bad usually outweigh the good things. I've never heard or read this story before. I can't believe how he died at the age of 80. He had been through the war,but died from embalming fluid labeled as medicated water. Thank you for sharing and entering me in your giveaway. Thanks, Barbara. I agree, the cause of his death was beyond odd. Good luck in the drawing! Hi, Sharon! Thanks for stopping by. Indiana actually has a very colorful history; something I try to showcase in my books. :) Good luck in the drawing! I love Indiana..and have lots of friends there - I will have to mention this to them. thanks for the fun post. Hi, Eliza! Glad you liked the blog. I'm always happy to meet an Indiana fan. :) Good luck in the drawing! If only all prisons, guards, and wardens had to read about Col. Owens and follow the rules and regulations he had in his prison camp! He sounds like a really neat man! Thanks tor such a great blog and the history of a man who truly cared about his fellow man. Wow, what an odd way to die, and so sad that it was at the hands of a mislabled bottle! Great post - we all need to be reminded of this great man and his beliefs!